As a Mayo Clinic-trained reproductive endocrinologist/infertility specialist, Dr. Laurence Jacobs has the training and skills to offer the very latest procedures for helping his patients overcome their fertility problems. This includes offering new procedures as they are developed and proven. 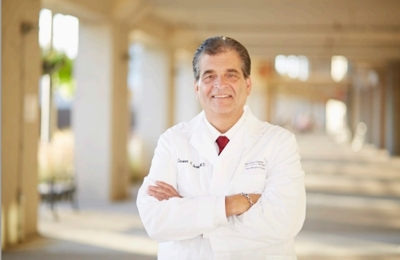 Dr. Jacobs has repeatedly been named in Castle Connelly's publications as one of America's Top Doctors (top 1 percent of fertility specialists in America) by his peers, including hundreds of OB/GYNs and nurses. The Doctor's patients are often impressed and reassured by this tremendous honor and a mark of distinction. More importantly, Dr. Jacobs is personally committed to providing patients with the most comprehensive care. With over 38 years of clinical experience and having personally undergone fertility treatment, Laurence Jacobs, M.D., knows how important having a child is to his patients. Dr. Jacobs was amazing through-out our entire journey. He was very thorough, informative, and compassionate. I plan to continue all prenatal care for future pregnancies with Dr. Jacobs. Dr. Jacobs and his staff are wonderful to work with. I have always had any of my questions/concerns answered quickly. I have felt comfortable and trust Dr. Jacobs to treat me. Everyone who works here in Hoffman Estates is amazing, friendly and make you feel completely comfortable. I always recommend family or friends who need assistance in conceiving to see Dr. Jacobs. Helen is the most amazing person we have ever dealt with. She always answered all my questions in a timely matter, and has so supportive through this stressful process. We had a few complications with office staff in the beginning that lead to missed deadlines, and financial confusion but was handled properly once addressed. It's been a long road, but we are very satisfied with the final result. After trying for two years we came to Dr. Jacobs and finally have a positive pregnancy. From day one this has been a world of a difference from our previous experiences with fertility clinics. From Dr. Jacobs to Cindy the nurse and the entire staff, everyone have been exceptional and extremely caring throughout our journey. I have had the best experience with Dr. Jacob's and his entire staff and would recommend him to anyone that was dealing with infertility. Dr. Jacobs was extremely knowledgeable and personable. From our first meeting we knew we were in good hands. Dr. Jacobs and staff were supportive throughout the entire process. We cannot imagine having gone through this experience with any other doctor. Super easy to work with...kind, factual, reasonable and genuinely cares for us and our health. Overall, I would not change our luck of finding Dr. Jacobs for anything. We have had success twice and could not be happier! Dr. Jacobs is the greatest! He gave me the miracle of my daughter and now I am 8 weeks pregnant with baby # 2. So thankful for all Dr. Jacobs and his staff have done for us! I have had recurrent pregnancy losses as well as a rare genetic mutation and decided to visit Dr. Jacobs for a second opinion about my best options. I only saw Dr. Jacobs for a short while but during my time with him and the clinic, I was extremely impressed with his vast knowledge, professionalism, and care for each of his patients. My husband and I ended up getting pregnant on our own naturally so I did not end up needing an IUI or IVF procedure. However, Dr Jacobs made sure I was on the right medicine to ensure a successful pregnancy. I am currently 10 weeks pregnant and thank him for everything he has done to help us get this far. We could not have found a better doctor for our journey. He was kind, caring, professional and compassionate. Everything one would want in a doctor. His knowledge base is incredible and bedside manner is parallel to none. We have recommended him to several other couples trying to conceive and will continue to do so. Dr. Jacobs has been amazing throughout this tough experience! He has always told me the truth and been a standard of strength and support throughout my process. I was very lucky to have come across him, he is given me one (about to be two) miracles and I owe him a lot for that! Regarding FCI, I was very sad the Crystal Lake office closed. It made my life much more difficult while trying to stay calm through this process. It also seemed like the business turned more into standards than personal caring. It's understandable but would be nice to have that family like feeling when going through this process. Dr Jacobs and his staff were readily available whenever we needed. Professional, caring, informative and a pleasant experience for a normal difficult process. Dr. Jacobs and his clinical staff are amazing! Hands down would reccomend Dr Jacobs to anyone who needs the extra help. Vita the ultrasound tech is also amazing to work with! She is the sweetest and makes you feel so comfortable. Dr. Jacobs was always available and willing to discuss my treatment and possible alternatives. He seems to really care about his patients and provides candid advice. .
Dr. Jacobs is amazing. I have been through many ups and downs and he has always been there for me and my husband with support and the next steps. From day 1 we knew he was the right dr for us. He is passionate and really cares about his patients. I recommend him to everyone I know! We are very happy with Dr Laurence. We decided to try for baby number 2 and because of the great experience we had with Dr. Laurence with our first pregnancy, we chose him again this time around. I needed monitoring because I develop low level of progesterone while pregnant. I think this Doctor was really nice and seemed very knowledgable. He explained things to my husband so he would be able to understand. La experiencia con el doctor Laurence Jacobs fue muy buena, despus de dos embarazos ectopicos acudimos a su oficina y estamos muy contentos con los resultados. Al principio fue algo estresante por no tener suficiente informacin pero con la ayuda de el doctor y las enfermeras todo fue ms fcil y rapido. Estamos 15 semanas embarazados!! !